The interior of your home may look absolutely stunning — from the way you’ve arranged the furniture to the upgrades you’ve invested in to the carefully selected décor. However, if the exterior of your home is a mess, then homebuyers are going to walk in with a negative impression. From there, it’ll be an uphill battle to convince them to buy your house. You can avoid this by making sure your yard is cleaned up, trimming your bushes, planting fresh flowers, making sure your exterior paint isn’t chipping or fading, and more. The trick to impressing homebuyers is to create a comfortable and inviting interior so that they feel at home. You want homebuyers to be able to see themselves living in your home. This illusion is destroyed if you have photographs of your family hanging up everywhere. Homebuyers will just feel like they are walking through someone else’s home, making it difficult for them to picture themselves living there. Go through your home and take down personal photographs and items. Investing in upgrades throughout your home is a great way to spruce up your home and make it more attractive to homebuyers – not to mention improve the value of your home. However, you have to remember that you’re not going to make back 100 percent of what you put into your renovations. Upgrades are meant to make the house sell quicker, not to make you a larger profit. This means that you might want to focus on more affordable upgrades, such as repainting the walls, replacing old cabinet hardware, or fixing your faucets, just to name a few ideas. A home that is poorly lit isn’t very inviting. You don’t want homebuyers to walk into a dark and under lit home for numerous reasons. First of all, it creates a gloomy atmosphere that nobody wants to live in. Secondly, it makes the features in your home difficult to see. Last but not least, a dark home feels a lot smaller than it is. Open up all of your blinds and curtains to let in as much natural light as possible, and make sure all the lights are turned on before any homebuyers show up. Overpricing your home will result in very little interest. A good strategy is to find out the right value and to price it a little below market price. A lot of homeowners are afraid to do this, but this is an excellent way to attract multiple homebuyers. 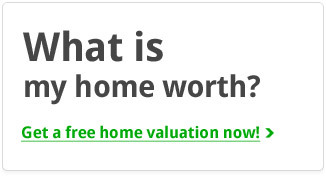 Most homebuyers will know what the real value of the home is. This could lead to multiple bidders, which could result in you ending up with more than what the house is actually worth. I’m always looking for great marketing and real estate related ideas and your article also very very good written and best for our understanding thanks for sharing with us.